www.ditl.org • View topic - What to do with my ancient Compaq Presario 5000? Re: What to do with my ancient Compaq Presario 5000? Since this seems to be RAM, you might make it a battering RAM, but it might prove a little fragile for that purpose. RK_Striker_JK_5 wrote: A mini-trebuchet, then send it to the Mythbusters or those crazy guys from England I saw on Mythbusters. Or that nutty American-English pair on that Military Channel show about recreating ancient weapons. Has anyone suggested a doorstop yet? Mark wrote: Has anyone suggested a doorstop yet? Captain Picard's Hair wrote: Speaking of old stuff, I've had this box sitting in my closet for ages, and I just looked inside it and found what is clearly a computer board of some kind, but one so old as to be unrecognizable. I can't imagine how powerful it isn't. 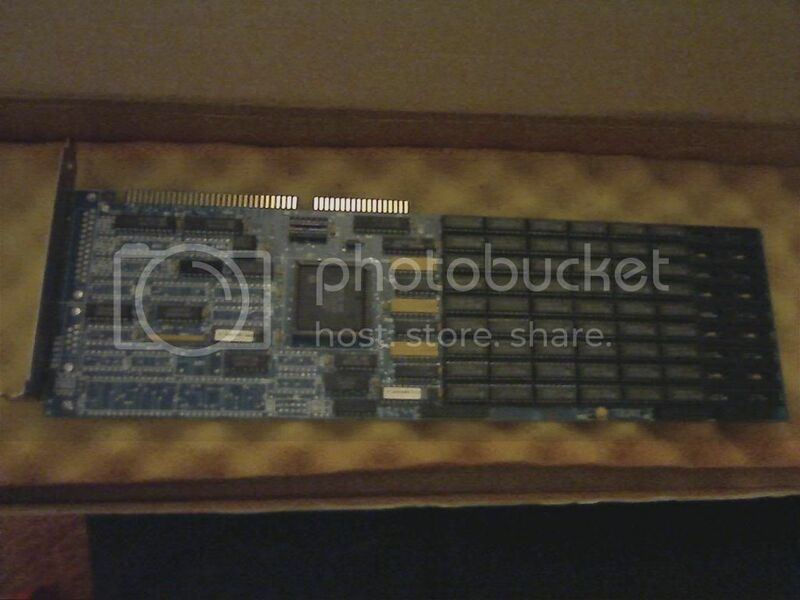 OK, someone who has looked at it in person tells me it holds 32 MB. 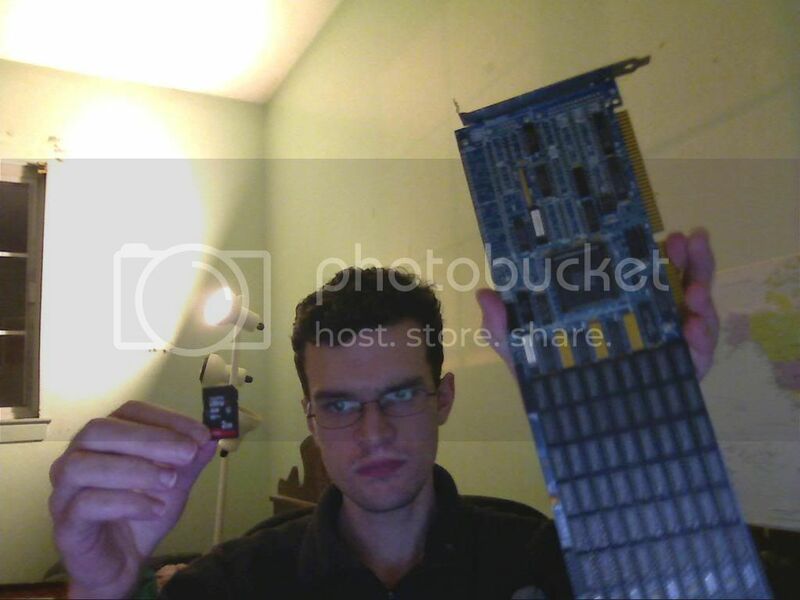 Now, in the pic below I'm holding that ancient behemoth in the left hand and a 2 GB SD card in the right. This tiny thing holds 64x as much data as that huge thing which I couldn't even get completely in the picture! Wow. That's some impressive technological evolution. Dear and fluffy lord, how old is that thing? It the result of Ed Beagly Jr. violating the temporal prime directive! I am still using my first 1997 PC. However, with regular upgrades/replacement parts it's the old story of the hammer with two new heads and six new handles - the only original parts been the keyboard and mouse mat. I've got a Commodore Amiga and a 1984 Sharp MZ 700 in the attic I can't bring myself to throw away. A Commodore Amiga?! Man, when I was in college that was the absolute shiz-nit! We used to make some killer aggro tunes on that thing. Wish I could say I had an Amiga. Was born too late tho. Mikey wrote: A Commodore Amiga?! Man, when I was in college that was the absolute shiz-nit! We used to make some killer aggro tunes on that thing. The Amiga's synthesizer hardware was WAY ahead of its time. We actually featured one in a battle-of-the-bands.